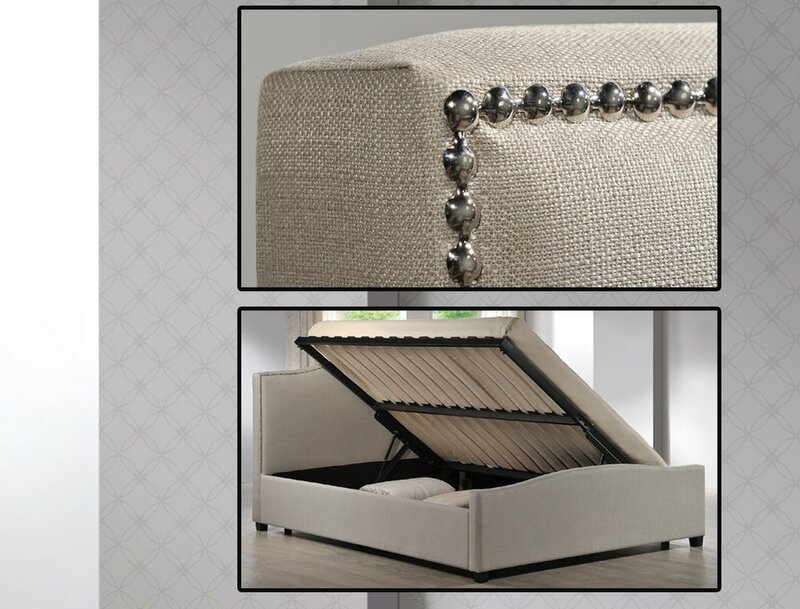 The Brunswick ottoman bed features a beautiful curved headboard enhanced by chrome stud detailing. Mattress base lifts up to reveal a large storage area. 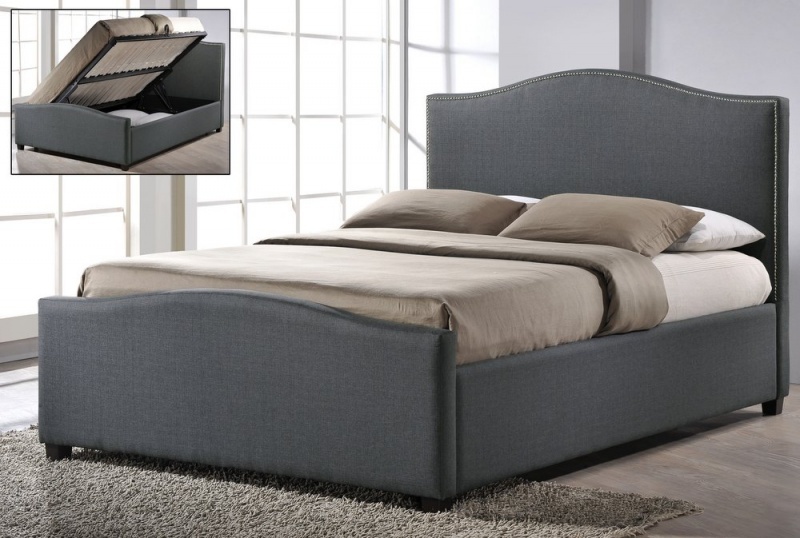 Easy to access by using the handle on the side of the bed. Gas lift support. 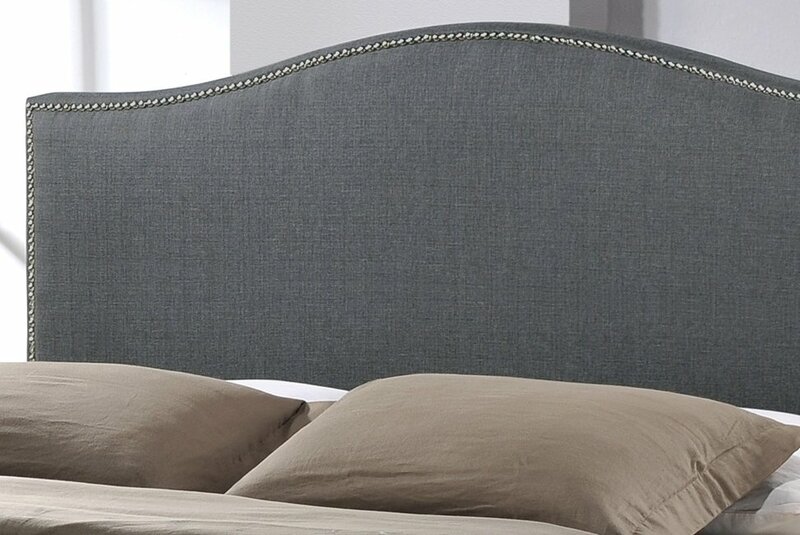 Available in fashionable grey or sand fabric. Two years guarantee for added peace of mind. 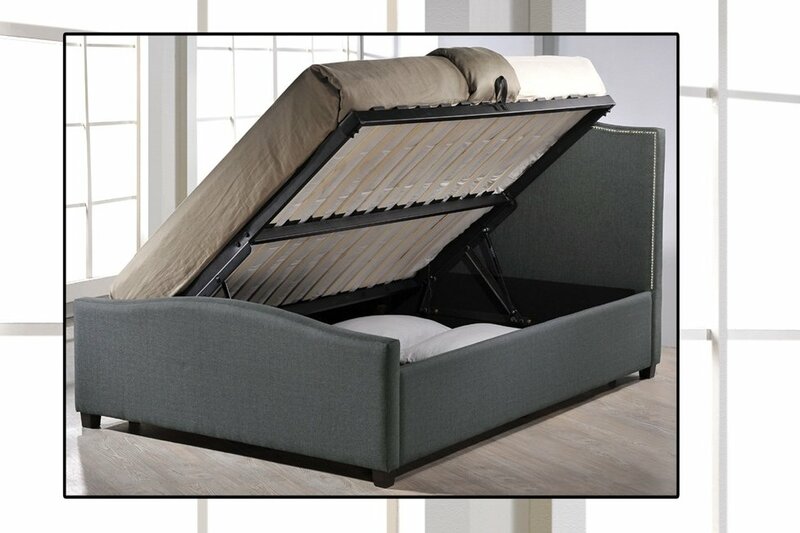 Part of our collection of storage beds.